Comedy Ladder Open Mic is where young comedians try their hand at comedy; this would be the first time they would be getting on stage. Completely fresh new voices! Come watch them grow from 0 to 100 in just a few weeks! An open mic is also where ope comics try new jokes. 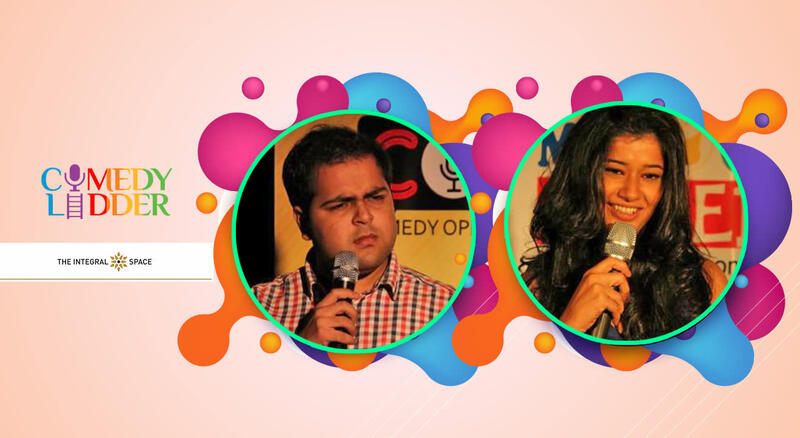 Bring your friends for a super fun evening with host Jeeya Sethi and doing new material for you is Saurav Mehta. Limited seats, so book today! Jeeya believes that if you are fat once (by fat she means FAAAAT) you are fat forever, mentally you never become thin even after losing all the weight. An event manager turned stand-up comedian, improviser and actor, she has made entertainment her new life's mission since nothing else is going for her! Saurav Mehta, is a popular stand-up comedian and has performed at many events like My Baby Thinks I'm Funny with Sorabh Pant and has featured in Amazon Prime's "Comicstaan."